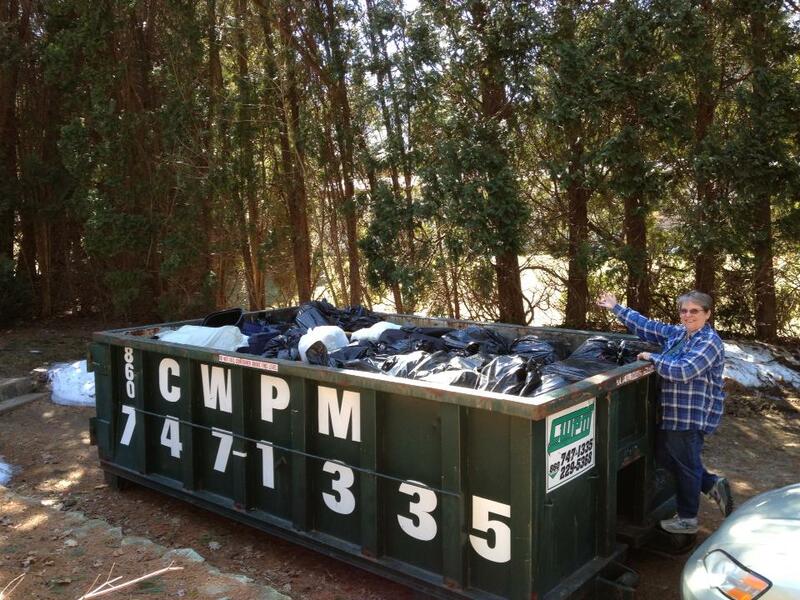 Seen on Facebook: Here is how I lost 1,890 pounds, Ruth with her 1890 pounds of discarded trash. Thank you Saira Priest and the Zen of Hoarding and many friends!! If Ruth can do it - you can too! "I like how this book approaches hoarding like no one really ever has. It really isn't even about hoarding as much as it is why we keep the things we do. It is such a kind approach and because of that, it is effective and helpful." "...In fact the word "hoarding and hoarder" is used very little in this book. Instead what you will find is how to deal with the underlying causes of hoarding. Emotions and habits are identified and how to free yourself of their hold is explained, putting you back in control of your life.I was really surprised with the contents of this book as it is full of positives. 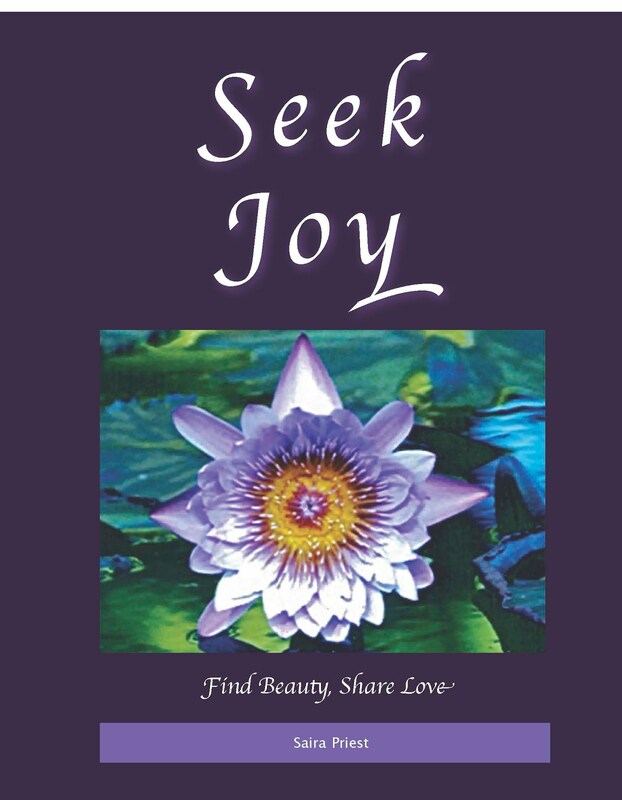 Many ask why - well this book explains why and how to turn the negative into positive and take back your life." "An oddly familiar book. When you begin to read, you may find yourself nodding at points. I was recalling what I once knew now blurred through distance, time and indecision. I marked several pages to work on. Difficult inner work to be done, necessary work. 108 Suggestions and points to consider as you begin to clear your space and rediscover richer pleasures and a lighter life." "This book really helps those struggling with hoarding or if they know someone who has it. I know someone who started hoarding a while ago and while I was helping to de-hoard the house I was reading this book and it really does give you the strength to achieve in the hoarding problem." "It is evident that it is necessary to come to terms with the underlying psychological and spiritual foundations of hoarding behavior if it is to change, that to just grapple with the physical manifestation of clutter is ultimately futile. The premise of "The Zen of Hoarding" is that "... hoarding is holding on to things no longer needed. Clearing, then, begins with deciding what we own, both materially and emotionally." Though this book is written from a Zen or Mahāyāna Buddhist vantage, it is definitely not necessary to have any familiarity whatsoever with that philosophy to benefit from reading it. The rich personal experience and research, expressed in plain language, makes it helpful to everyone who wants to clear away what isn't needed and wanted. There is also frequent use of very well-chosen quotations. The preface and introduction are very important to understanding what follows, the 108 short entries, grouped into three sections: "Seek First to Understand", "Desire, Commit, Act", and "Simplify, Simplify". Each of the chapters focuses on one idea and produces practically useful insight more often than not. The author suggests that it is best to read straight through but the format does lend itself to skipping around or returning to a particular section when it would be most helpful. "Saira gives people the view of hoarding as being a manageable situation and the tools to manage it. Firmly and gently, "Zen of Hoarding" walks readers through the root causes and enables them to begin the process of reclaiming their physical surroundings, their emotional space and, ultimately, our lives." Full of excellent insight on the how and whys of hoarding and gentle suggestions for ridding oneself of excess baggage and learning to live freely and unencumbered. This little book is big on encouragement and simplification. My epiphany (one of them, anyway) is the realization that putting things aside for the yearly garage sale simply moves clutter like a magnet from one area to another, where it sits in boxes and collects dust. Selling it is time consuming and is not as much of a good idea as it might seem at first. At the end of the day, there are still multiple boxes of stuff that must be repacked and taken to a site to be donated. Priest's suggestion of donate, donate, donate as THE answer to sending usable items to new homes is one that I will take to heart. So, if the subject interests you and this particular title speaks to you, get reading! Your epiphany awaits. Okay, confession time, I tend to be a bit of a hoarder. Oh, I won't be appearing on THAT SHOW any time soon but I do have a tendency to hold on to things because, well, you never know when you'll need to see how much your phone bill was, say, five years ago and you can never have too many (insert anything you will never use again but ya never know, am I right?). Anyway, so this book seemed the perfect remedy to the problem and much cheaper than buying a new home to store all my great yard sale finds until I can put them into my own yard sale to make room for more stuff. I found the book interesting and helpful. Has it solved all my problems. Well, no but I am much more aware of my tendency to hoard useless stuff and much more importantly why I hoard useless stuff. It has also made me realize how much of my time and energy is wasted moving stuff around that I will never use while the space it takes up could be better occupied with stuff I do use and how much this impacts my emotional well-being. So, after finishing this book, I cleaned out my drawers, threw away a bunch of old papers (and found a few I had been hunting for), packed up a bunch of boxes of books I have read and will not read again, some old CDs and VHF tapes which I haven't watched in, oh, a decade or so, some old clothes which I was holding onto because there was always a possibility I could lose that extra few pounds and surely neon will come back into style someday, and I donated them to my favourite charity store. Are you who you say you are? When you tell people what you like to do and what you love, do your actions back up your words? Are you spending your time doing the things you love to become the person you want to be? When deciding what to keep and what to get rid of, ask yourself if the item serves you now. Does it help you fulfill your life's goals and purpose? When you focus on the negative instead of the positive, that is where your energy will go. The example she gives is being late. If you "don't want to arrive late", all of your thoughts and energy go into avoiding consequences. However, if you turn it around and "want to get there early" all of your energy goes into achieving that outcome. What happens if you take the following out of your mind? -I paid good money for it. There is a difference between a collection and a collectable. A collection has been cultivated and time has been taken to specifically acquire items. Otherwise you just have a lot of stuff that has no real value. If you really think your stuff is worth a lot of money, have an appraiser come in. You may be surprised. Give yourself a mantra and repeat it to yourself. Put it up where you can see it. I personally like "Today is a good day for a good day." Most people say they are keeping things because "they" said so. Who is “they” and why are you giving them so much power in your life? Energy goes where attention goes. If you write something down and want to make it happen, you will give it attention and energy and it will get done. Decide something is important to you and it gets done. It isn't a miracle, it is intention. Input=output. Or at least it should. If something comes in, something has to go out. Instead of focusing what you do not have or cannot do (no one has enough time, space or money), focus on what you CAN do. When you change your way of thinking, you will be shocked at what you can accomplish. Life is changed five minutes at a time. Saira talks about doing things five minutes at a time. This is similar to our "ten minute tidy" concept. So pick what works for you and start there. You will be shocked at what you can accomplish. So often we put things off and when we do them, we are shocked at why we put it off so long. Anything that sits for a long time becomes trash. This means people (they don't become trash but get unhealthy), stuff becomes worn out, etc. Are you keeping your surroundings beautiful? Again, these are just a few of the easy to read, yet mind altering offerings in Zen of Hoarding. Even though this book is mostly for people who are challenged with hoarding or know someone who is, I can really see the value in this book for ANYONE who just wants to make things a little easier. You provide simple steps that you can bring into your life and explain things in a way that is easy to understand. I think we could all use more simplicity in our lives, which is so much of what the book is about. 2. Then the 5-minute rule blew my mind. For whatever reason the simplicity of your explanation really resonated with me in a way that I hadn't thought of before. 3. "Trust me you won't miss it"---Even though I'm not a hoarder per se, after reading this piece I realized how I really do hang on to certain types of things like books and like you, I'm a paper fiend. Also, when you talk about how your hoarding was really just a physical manifestation of how you wanted to write, I could see that in myself. I'd been collecting paper in hopes of using it in art and because I wanted to make sure I learned what I needed to from some article I'd cut out, so I didn't want to part with it. I've also been collecting all kinds of craft stuff forever and have spent way too much money at Michael's and that's because there's a part of me that really wants to do that, but I usually don't give myself time to. 4. "I define a martyr as one who is taking on others’ responsibilities." Whoa! I really needed to hear that. Again, I've probably heard this before, but your writing is so clear and simple that I got it in a way I hadn't. I could finally see how this applies to both stuff as well as emotions. 5. "Ask if it is the thing you want or a deeper need or feeling that needs to be fulfilled?" --I noticed I do this a lot with books. I want so badly to move forward that I think "If I just buy this book it will solve all of my problems". After I read your book I got rid of some of them and made a policy for myself that I can't buy a new book until I've finished reading one. 6. "This is the level of trust we can aspire to - to trust that when you need something, it will be there, and to have faith in your ability to get what you need." ---This was a biggie for me.That is why we hold on is because we are afraid that we won't be able to have something better. 7. Somewhere you say something about doing today well helps take care of tomorrow--That is a big thing with me because every day I dread my job, but if I can change it today then I don't have to worry about it tomorrow. 8. "Address what appear to be small issues, as we go, in the present moment." --Since I read this I've been noticing how much effort it takes to put things off.. It's sooo much easier to just do it when it comes to you. This book is amazing and has given me so many insights beyond hoarding. It is full of wisdom and it provides simple ways to implement important principles into your life. I grew up in an environment of hoarding and even though I don't have a house full of stuff this book gave me a greater understanding of the subtleties of hoarding. It has inspired me to clear more in ways I would've never thought of. Thank you!